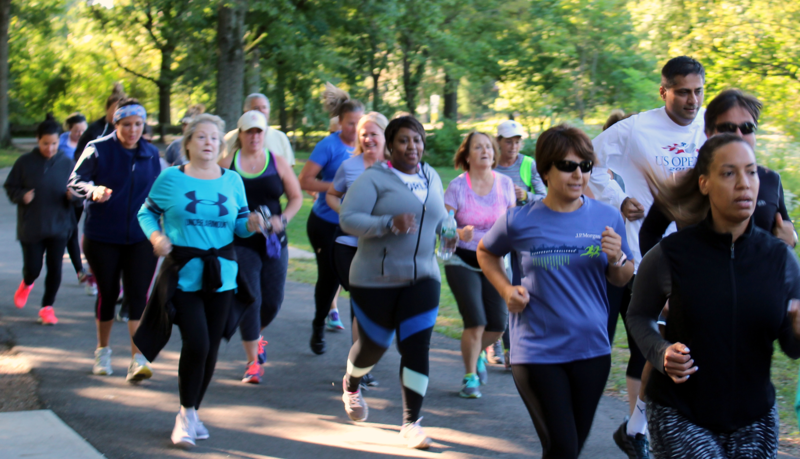 The Tice’s Course workout is run every Sunday, throughout the year, starting at 7:30 AM. Long runs of 6 to 22 miles start from the Glen Rock section of the Saddle River County Park. The Glen Rock Area of the Saddle River County Park is located off Prospect Street in Glen Rock. Contact Debi Brathwaite, Lisa Swain, Lori Kilmurray or Ed Kavanagh for details. See the 10 Mile Course Map, or the 15 Mile Course Map. Long runs of 8-16 miles intermediate is meeting at Glen Rock Duck Pond. We will meet every Sunday at 7:30 AM with the intent to prepare for Spring marathons. We sometimes go to different locations such at Rockefeller Preserve Park, Palisades, Fort Lee to Van Cortland, Hudson River Greenway. Lots of hills! All abilities are welcome. Refer to website calendar, FB group run page, or contact Lori Kilmurray for details. We have our “Run 4 Fun” group run on Saturdays at 9:00 AM at the Glen Rock Duck Pond section of the Saddle River County Park. This organized group run is intended for our beginning and intermediate runners. Typically we will run for approximately 47 minutes (24 minutes out – appx 23 minutes back) on the walk/bike path towards Saddle Brook/Rochelle Park and have a light post-workout stretching/conditioning/strides. Various pace groups at 9-9:30, 11:30-12, 15-16 (run/walk) covering approximately 3 to 5 miles.